The oil paintings of the Roman Emperors to be seen at Bolsover Castle these days are a reminder that art collecting was associated with the monarchy during the first half of the 17th century. King James I, himself a collector, was outdone by his son Charles I, who amassed what was probably Europe’s most valuable collection of painting, sculpture, drawings, prints, and objets d’art. The extravagant spending of Charles on the visual arts angered members of Parliament, especially the Puritans. The Puritans, of course, favored churches that were bare of statues and paintings. The Puritans, as a group, were not known for collecting secular art. The Duke of Gonzaga, a powerful Italian nobleman, commissioned Titian, perhaps the premier painter of the Venetian school, to paint eleven Caesars, which, after Gonzaga’s death, were bought by Charles in the late 1620s. It is thought that the Caesars at Bolsover, which are copies, were acquired by Margaret’s future husband, William, a little thereafter. 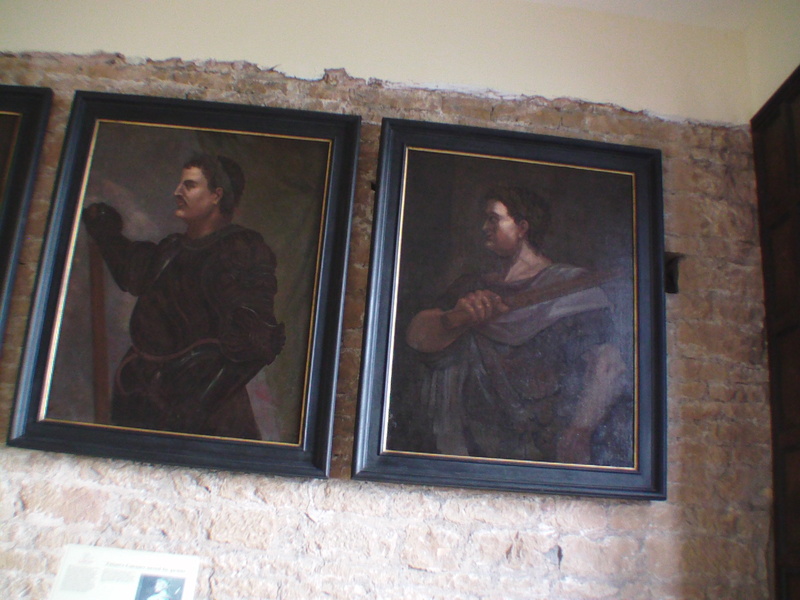 Margaret would have met with these paintings, probably at Welbeck Abbey, upon her return to England as the Restoration got under way. Margaret, we might say, was predisposed to look with favor on the the new Roman government because it bore similarities to the English monarchy, which, of course, recently had been restored when Sociable Letters was written. What is interesting here is that she is less than a strict Royalist in Letter 187. She does not suggest that monarchy is the only legitimate form of government. Rather, she asserts that change was needed because the Roman Republic was so corrupt. Further, she feels that Cato, a supporter of the failed Republic, should have allowed himself to reach an accommodation with Julius Caesar. Instead, Cato committed suicide, which was a foolish but honorable act. 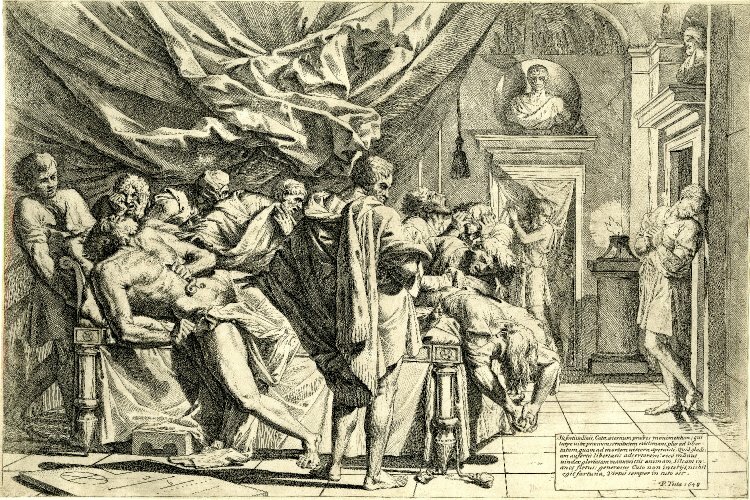 Indeed, she ends the letter by calling him “honest Cato.” In the print, above and to the left, Cato is to be seen pulling his entrails from his body, a horrible part of the suicide described by Plutarch. The situation is complicated by another print, which apparently links Cato to Julius Caesar with the thought that both were virtuous men. In this second print, the two men are recipients of fame bestowed them by Plutarch, and it is Plutarch who Margaret says she has been reading. 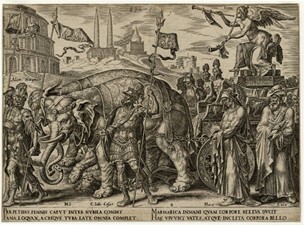 The two elephants which draw the triumphal car of the personified Fame are led by Alexander the Great, who is followed by Julius Caesar. Plato, the Greek philosopher, and Cato walk behind Caesar and next to the car. Death is trampled by the elephants. Cato, as a representative of republican government, is subordinated in the procession to Ceasar, the creator of single-person imperial rule in Rome, but Cato is not excluded from fame. Perhaps Cato along with the philsopher Plato are to be understood as men of thought rather than action. In any event, the two sorts of government are not visually shown to be in opposition to one another. 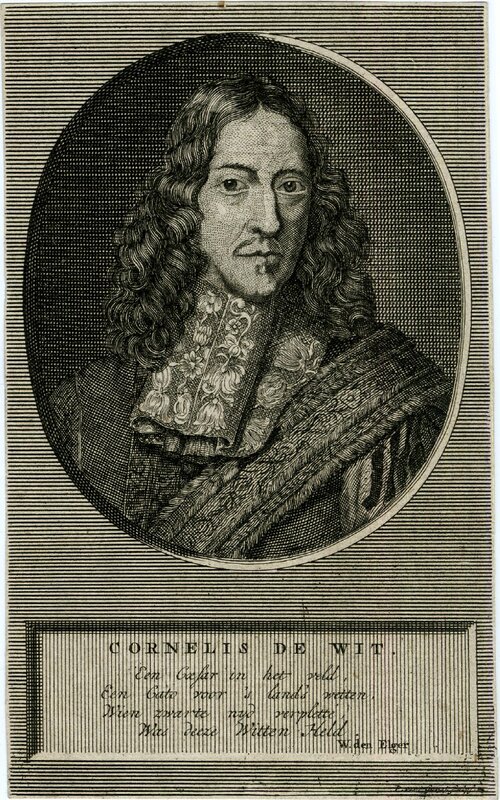 About a hundred years after the print with the elephants appeared in the Low Countries, a portrait of the great Dutch politician Cornilius de Witt is found accompanied by the statement that he was a Caesar in the field of battle and a Cato as a lawmaker. It would seem that, at least for the visual arts, representatives of monarchical and representative government could be found together. Modern scholarship tends to categorize English political thinkers of the 17th century as being committed to one sort of government or the other, but perhaps many looked to have the best of both. In any event, I am inclined to see Cavendish not as an “absolutist” Royalist but rather as a pragmatist and a consensualist. 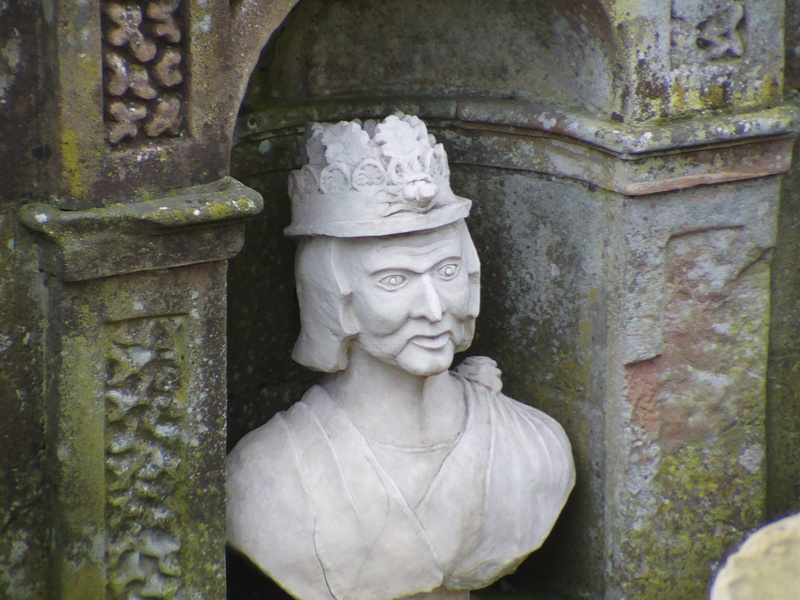 She endorsed monarchy but only with conditions, and the governed had some say in the matter. Most surprisingly, she allows for a legitimate rebellion against an inept or corrupt government in her article on Brutus in World’s Olio, Book II, Part III (1655). This passage is strongly Royalist up until the last sentence, at which point the Royalist position becomes conditional. As a pragmatist, Cavendish allows that a bad government of any sort should be changed. By the way, two statues of Diana of Ephesus, associated with the Goddess Natura, are to be seen as if also marching in the procession of the elephants. Cavendish often invokes Nature as a goddess and would have liked this detail, had she seen the print. And she might have, given her years in the midst of the Antwerp art world.